Friday, the 13th is not considered to be a lucky day…if you happen to be superstitious, but for almost 2500 Jewish people, as well as for Major Clarence L. Benjamin, Friday the 13th of April, 1945 would prove that Friday the 13th could be a very blessed day. While on a routine patrol a few miles northwest of Magdeburg, Benjamin and his unit came upon a railroad siding in a wooded ravine not far from the Elbe River. There, about 200 shabby looking civilians were sitting by the side of the road. Even in their shabby state, there was something immediately apparent about each one of these people, men and women, which drew immediate attention. These people were skeleton thin with starvation Their faces showed a sickness, and the way in which they stood…was like they were beaten and dejected, but there was something else. When they saw the Americans they began laughing in joy…if it could be called laughing. It was an outpouring of pure, near-hysterical relief. The reason, the unit soon found out was the railroad siding. Standing silently on the tracks of the siding was a long string of grimy, ancient boxcars. On the banks by the tracks, trying to get some pitiful comfort from the thin April sun, sat a multitude of people of varying stages of misery. They sat motionless in despair. When they group sighted the Americans, a great stir went through this strange camp. Those who were able rushed toward the Major’s jeep and the two light tanks. On the hill to the left people were resting…some forever. About sixteen people died of starvation before food could be brought to the train. They simply couldn’t hold out any longer. As the Major soothed the people, he eventually found some who spoke English, and their story came out. This had been, and still was, a horror train. 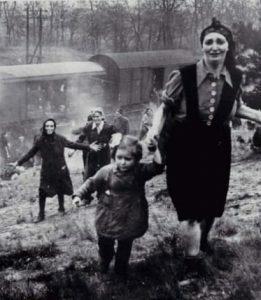 This train which contained about 2,500 Jews, had a few days previously left the Bergen-Belsen death camp. Men, women and children, were all loaded into a few available railway cars, some passenger and some freight, but mostly the typical antiquated freight cars, called “40 and 8” cars. The term, from World War I, “40 and 8” meant that these cars would accommodate 40 men or 8 horses, but the cars were crammed with about 60 to 70 people, with standing room only for most of them. The cars were hot and it was hard to breathe. In all, the cars held about 2,500 Jews, far more than they should have. The war was winding down, and the Nazis were trying to evacuate the concentration camps ahead of the Allied troops arrival. On April 10, 1945, three trains were sent from Bergen-Belsen with the purpose to move eastward from the Camp, to the Elbe River. They were told to reverse direction because of the rapidly advancing Russian Army. The train reversed direction and headed to Farsleben. There, they were then told that they were heading into the advancing American Army. 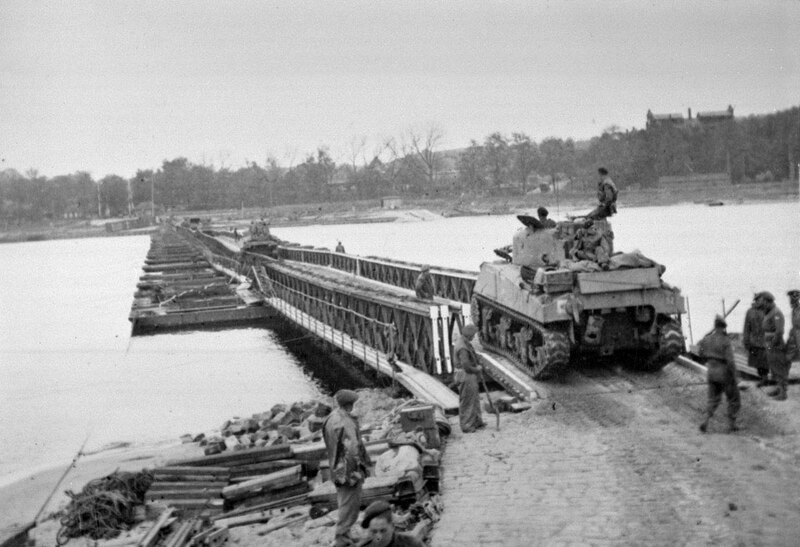 The train halted at Farsleben…awaiting further orders. The engineers received their orders…drive the train to, and onto the bridge over the Elbe River, and either blow it up, or just drive it off the end of the damaged bridge, with all of the cars of the train crashing into the river, and killing or drowning all of the occupants. While the engineers thought about this action, knowing that they too would be hurtling themselves to death, the Americans caught up to them. The arrival of the 743rd Tank Battalion was the only reason anyone came out of the trains alive. It was Friday the 13th…a very blessed day for these Jews. Not an ounce of bad luck there. I do. It is posted publicly on my Facebook and my blog is also public.